What shoes did you wear today, anything with laces? Did you slip on some fun socks to show your personality? Let's talk. Do you sometimes look at your feet and need cheering up? We're here to help. We're asking you and 25 of your friends to help too (have a group, business or club?). It's actually easy, and fun. Shoelaces and socks go together like, well, threads and stitches. One makes the other better, right? You can have fun with both, showing off your unique style or sense of humor. They're with you most of the day, so let's make them a little more fun. 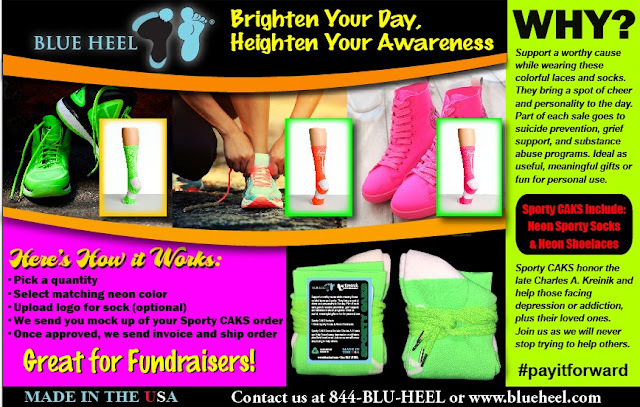 Kreinik and Blue Heel Socks of North Carolina joined manufacturing forces to create Sporty CAKS, a line of neon sporty socks and glow-in-the-dark shoelaces. A portion of each sale goes to suicide prevention, grief support, substance abuse and depression treatment programs. The socks are made by Blue Heel in North Carolina, while the shoelaces are made by Kreinik in West Virginia. What's so great about these socks? Well, first, you can have your logo put on the socks, which is really awesome for groups, schools, charities, teams, clubs, and the like. Imagine a bowling team with their cool socks glowing under the alley blacklight. Or the name of a roller derby team zipping around the rink. Or a private school showing school pride and unity. How about a business with staff running a charity race, wearing eye-catching matching neon socks? That's just to name a few creative ideas. 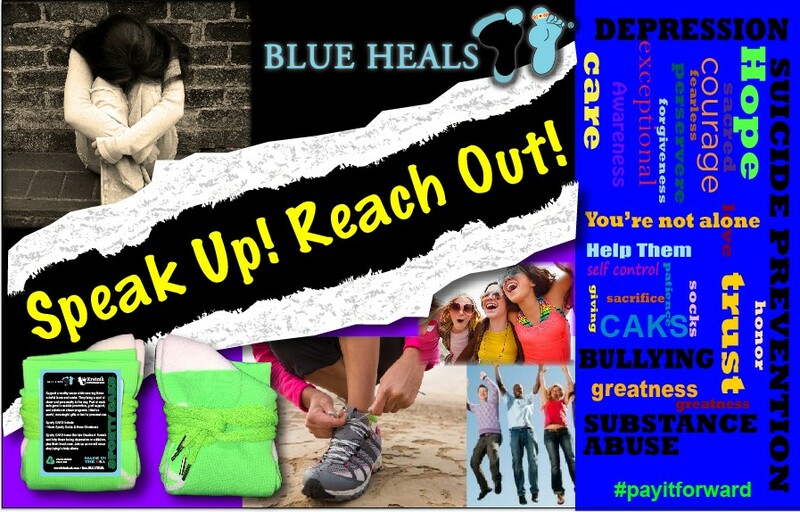 You can use the socks-and-shoelace program as a fundraiser. The program is designed with this invaluable action network in mind. Use them to raise money for your town, a neighbor, a cause, a fund-me campaign, or anything else. The Sporty CAKS program is something everyone can use, wear, and take pride in participating. Sporty CAKS raises money to help prevent suicide, plus comfort those who have already lost friends and family. Bullying, fear, sadness, hopelessness, exhaustion…we've all been there to a degree, but for some, it's life-threatening. We can help, you can help, your group can help. What's a thread company doing with socks and shoelaces? Many of you know that the Kreinik family lost one of its beloved own to suicide in recent years. In an instant, a topic you hear about, a tragedy you see on the news, the thing that has happened to people you know, became deeply personal. We don't want this to happen to you and your loved ones. If it happened already, we want to help you heal. This is why Kreinik developed the CAKS project. You can buy shoelaces, eyeglass strings and lanyards—made of Kreinik threads by our wonderful staff in our West Virginia factory. 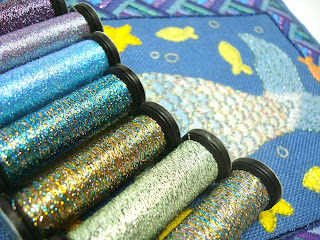 All the details here: http://www.kreinik.com/shops/CAKS/ We donate to a fund helping suicide prevention, grief counseling, drug addiction services, and depression treatment. It's an uphill battle, and that's why we're so excited Blue Heel Socks has joined the mission. Thank YOU for helping too. The problem was obvious: needlework was boring. We are flashing back here to 1971, when Jerry and Estelle Kreinik drove around the U.S. selling Estelle's revolutionary needlework project holder (the first one on the market). Needlepoint was popular, but stitched only in wool. Cross stitch was up and coming, but stitched only in cotton. That was pretty much IT, all that was available at the time. Very limited, a little undifferentiated, and not at all up to its potential. With their backgrounds in textiles, Jerry and Estelle knew that needlework, from the dawn of embroidery, was so much more. Historically, embroiderers used silk threads and real metals too, for instance. Long story short, the Kreiniks set out to make these interesting threads available and affordable for stitchers everywhere. First up: importing silk threads. The next task: creating a less expensive but still beautiful, rich-looking, and easy-to-use version of real metal threads. "Braids" were born. In your year of becoming a Kreinik thread expert, exploring "Kreinik: A To Z," the most significant subject is probably this: Braids. Here's what you need to know, which will enhance and enrich your needlework projects to infinity and beyond. 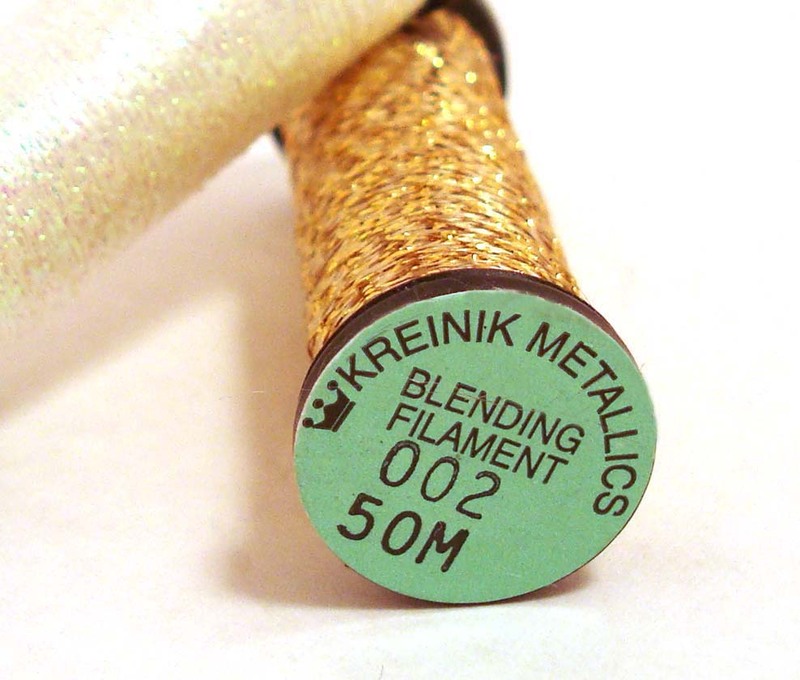 The Kreiniks used the name Braid for their synthetic (as opposed to nature-made) metallic thread basically because that's how the thread is made: raw fiber tightly braided together by machine to become one unit. It's our fancy way of saying "thread." So don't think of it as stitching with a woven band or trim. A Kreinik Braid is simply metallic thread meant to be used as is, straight off the reel, not as two strands, not separated. The purpose is to add the beautiful shimmer of a real metal thread, but in a fiber that is easier to use, less expensive, washable, and more readily available. Jerry and Estelle created Braids of different sizes so that you could have a metallic thread to fit on any size fabric, canvas, or any medium actually. To differentiate the sizes, each has a number in its name, In our line, the smaller the number, the smaller the thread size. So, from thinnest to thickest, you have the choice of Very Fine #4 Braid, Fine #8 Braid, Tapestry #12 Braid, Medium #16 Braid, Canvas #24 Braid, and Heavy #32 Braid. Select the size according to what size fabric you are using or which stitch you are using (i.e., thicker threads for surface embroidery, or thinner threads for backstitching an outline. For cross stitch, use Fine #8 Braid on 14-count Aida, or if stitching over two threads on 28-count linen. Use Very Fine #4 Braid on 16- or 18-count Aida, or over two on 36-count linen. For needlepoint, use Fine #8 Braid for lighter coverage on 18-mesh, or Tapestry #12 Braid for fuller coverage on 18 mesh. Check the helpful Selection Chart on our website for more match-ups. Kreinik Braids are sold in indie needlework shops (independent shops, not usually chain stores) and online sources. These shops share your passion for needle arts. See if you can find one in your area; it will be your candy store. If not, check out online shops. 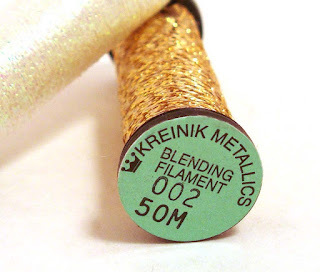 Let us know if you ever have problems finding Kreinik threads. 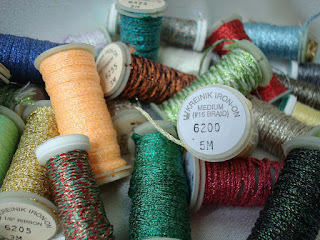 Have you tried Kreinik Braids? Get one of each size and experiment, play, test and try them in your cross stitch, needlepoint, embroidery, quilting, tatting, crochet, and more. Become a part of Jerry and Estelle's vision of using fun, beautiful metallic threads to make your designs visually interesting, dimensional, and as exciting as life itself. Braids are simply a wonderful fiber tool for self-expression. By the end of this year, you're going to be an expert on Kreinik. You'll be in the Kreinik Crown Club. You'll know so much about Kreinik threads and products, you'll practically be a member of the family. You probably know a lot already, but in case you don't, our blog this year features "Kreinik A to Z." 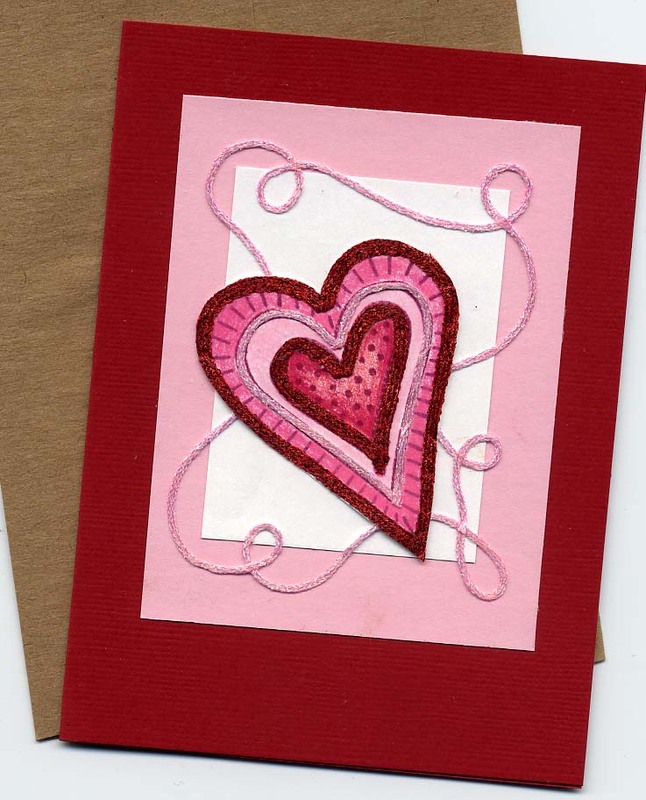 That is, the ABCs of Kreinik, providing useful information, inspiring ideas, and helpful tips. Oops, we heard a few groans. Perhaps Blending Filament doesn't have the best reputation IN USE, but you have to admit that IN EFFECT, it's stunning. It offers the most subtle shimmer, adding light and a little bit of visual interest without adding any weight, texture, or over-the-top effects. It's perfect for people who like just a little bit of icing on their cupcake, for example; it lifts a piece from drab to dreamy without overwhelming. Forget any negatives you may have heard. Grab a spool and explore this baby metallic with us. Let's talk about where, why and how to use Blending Filament so that it can add grace, whimsy and elegance your projects this year. It's a thin metallic thread, kind of like tinsel on a Christmas tree. 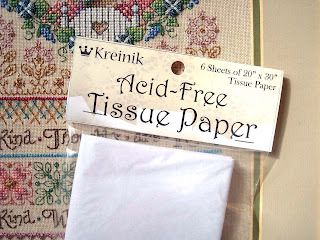 Because it is so thin, it was created to be used in combination with another fiber, ie, used with cotton embroidery thread, or with a knitting yarn (but you don't have to always use it that way; keep reading…). The thinness means it creates the most subtle metallic effect. It's like a whisper, a metallic fiber whisper. Kreinik began producing and selling it in the 1980s. It comes in more than 100 metallic and glow-in-the-dark colors, giving you options for different effects. Colors with "HL" after the color number (ie, 002HL) mean Hi Lustre, or the brightest metallic in the line. Colors with "V" after the color number (ie, 003V) mean Vintage, or an antique finish. Colors with "F" after the color number (ie, 052F) mean Fluorescent, or glow-in-the-dark. Colors with "L" after the color number (ie, 001L) mean Lolographic, err, Holographic (the HL was already taken when we introduced this color line), as in variegated like a disco ball. Blending Filament comes on 50-meter spools, but is also available by special order on cones of any amount. Unwind a length from the spool; about 18 inches is good for a start. First you will notice it has two parts: a metallic fiber, and a non-metallic fiber. The latter is the supporting core, there to give a little strength to the baby-thin filament. It also helps reduce static. We recommend that you leave the core, but some stitchers prefer to remove it; so that is up to you. Experiment with both options to see which you prefer. Since Blending Filament is so thin, it may slip off your needle while you are stitching. Not a problem: the easiest way to avoid this is to knot it onto your needle. See the diagram for details. 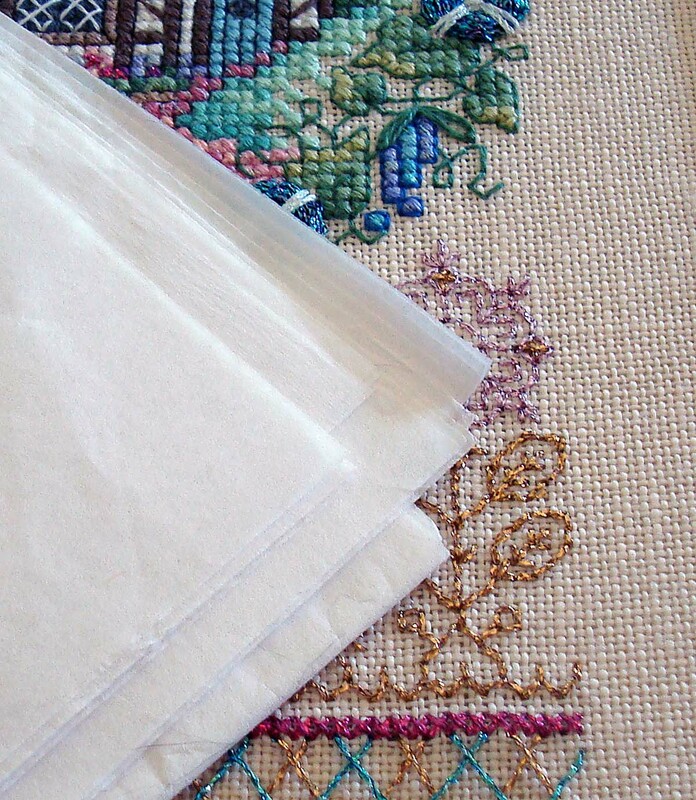 • Use one strand of Blending Filament with two strands of cotton floss for perfect coverage in cross stitch on 14-count Aida. Simply add the floss to your knotted-on-filament needle and begin stitching. The key is, since you are using two different kind of fibers with different elasticity and tension at the same time, is just to stitch a little bit more slowly than you would if using just one kind of fiber. That's all, just let the slow rhythm of the stitching movement bring a few moments of zen as you watch a little sparkle fall into place. • Do your stitching in the non-metallic fiber first, then later go over the area with Blending Filament by itself. This is idea for those who don't want to use two different fibers together. One advantage of this option is that the metallic lays on top of all stitches, which means you get more shimmer. • Create illusions by using filament by itself, as in background stitches. This is fun, for example, if you use glow-in-the-dark filament to add hidden words, or moonlight streaming through clouds and other background effects. Items made with Blending Filament are hand and machine washable, and dry cleanable. Tumble dry on low. Try not to iron directly onto the metallic; instead, use a press cloth between the iron plate and the stitchery. Now that you know how unique and versatile Blending Filament is—and how to use it beautifully and easily—you may be asking: What's the negative? 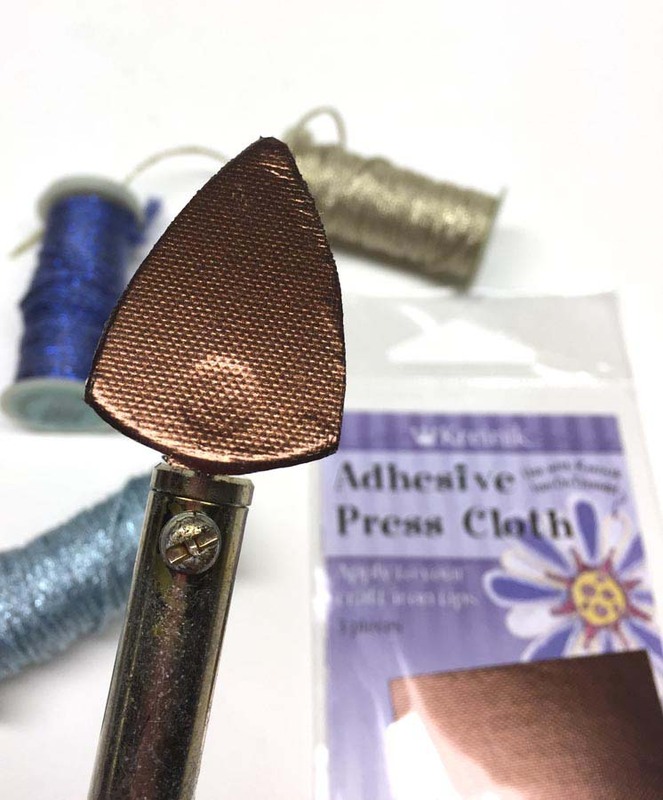 Well, it really isn't strong enough to use in the needle of a sewing machine, unfortunately (but we do make super-strong metallics for that). Also, if you want to combine it with big chunky yarns for knitting, it may not show up very well (but that's why we made heavier super-soft metallics like Kreinik Twist and Ombre). But aside from those, it's a jewel of a fiber to have in your stitching repertoire. In your quest to know more, grow more and create more, test this metallic thread to see what else it can offer. We'd love to hear from you and see photos of your projects. What do you think of Blending Filament? Life is short and time is precious; who wants to slown down with a gummed-up iron? Touch something sticky with the hot surface, and a quick ironing job turns into a clean-up effort—and who wants to clean? What's that? You haven't heard that word "iron" in years? Ok, it's true. Most people don't like to iron (too much time and work), and plenty of people don't even own an iron. Today we are ironing less and less. Hooray—except we're missing out on some fun crafting. Iron-on threads, patches, and sequins make decorating creative, fast and easy. They are good for quick holiday projects and quick costume embellishments. Use them for card making, scrapbooking, quilting, crafting, and home decor. Side note here: Not to brag, but we make the best iron-on threads. There's no right or wrong side so you can twist, turn, write, flip, tie, etc. Plus they come in two sizes, a flat 1/8" Ribbon and a round Medium #16 Braid, that you can use on wood, fabric, and paper. The color range is good: holiday, earth-tone, and jewel shades of metallic plus glow-in-the-dark colors. They're fun and easy for getting the look of embroidery without actually stitching. We'll add links below for information and free project ideas. 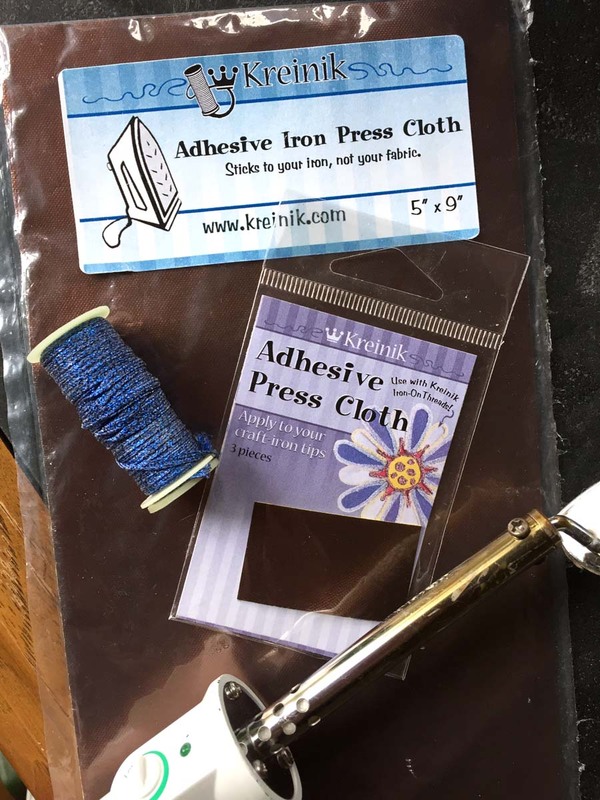 Whether you're an ironing newbie or seasoned pro, this tool will make life better: an Adhesive Press Cloth. Sounds dreamy, doesn't it? It's actually perfect in its practicality: gives any iron a non-stick coating. Why is this important? Most craft irons aren't coated with Teflon™, the material that makes it non-stick, which means any adhesive (found in iron-on items) will quickly build up on your iron. This little press cloth fixes that problem. Less time messing with your iron means more time making fun stuff. How to use it: Each piece of press cloth has a heat-resistant adhesive on one side. Peel off the yellow protective backing and stick the press cloth on your iron. Trim the edges if needed. Apply it while the iron is cool, not plugged in, not in use. Lasts for a long time. Not really re-usable or re-positionable. For large household irons: use only on "dry" settings unless you poke steam holes in the material. Most people use an old iron or one they've dedicated to "dry" ironing only. If an air bubble occurs while applying the press cloth, use a pin to poke a micro-air-hole, then use your finger to smooth it out. Here is a simple-but-strong New Year's Resolution for stitchers and makers that will change your life and is totally do-able: Know more, grow more, create more. Strive to learn about something new every week, no matter how big or small—a new stitch, historical tidbit, helpful tool. To kick off this New Year's Resolution and keep you learning all year, we present "The ABCs of Kreinik" — a look at Kreinik-related items or ideas you can use to improve your stitching, knowledge, experience, and creative process. It's a fresh way to expand the fiber art techniques we all know and love. Let's get started. If you've seen our posts on the Kreinik Facebook page, www.MrXstitch.com, Twitter, and our blog, you realize how important this subject is: Safe Storage. Textiles are valuable: you (or a loved one) spent time making something, you want it to last, you don't want it to be damaged. So be aware of how you store your finished or unfinished projects. 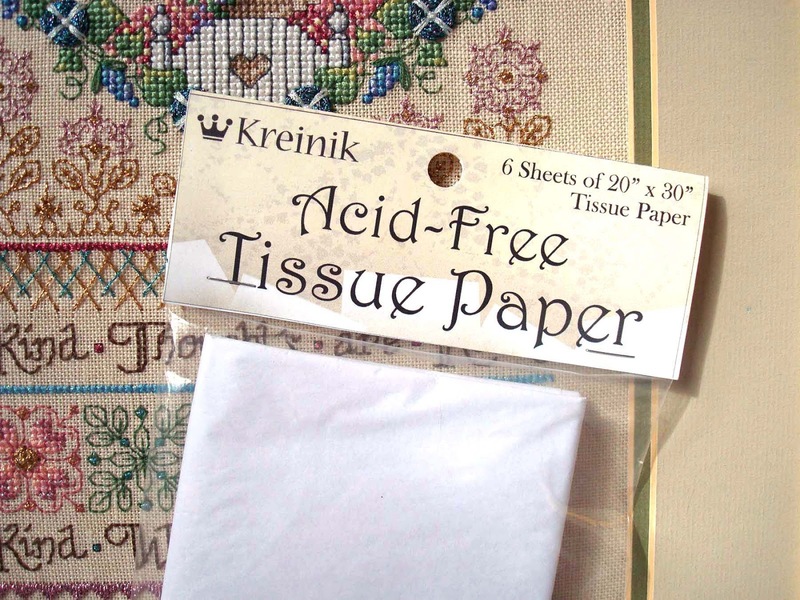 The safest way is to use Acid-Free Tissue Paper.